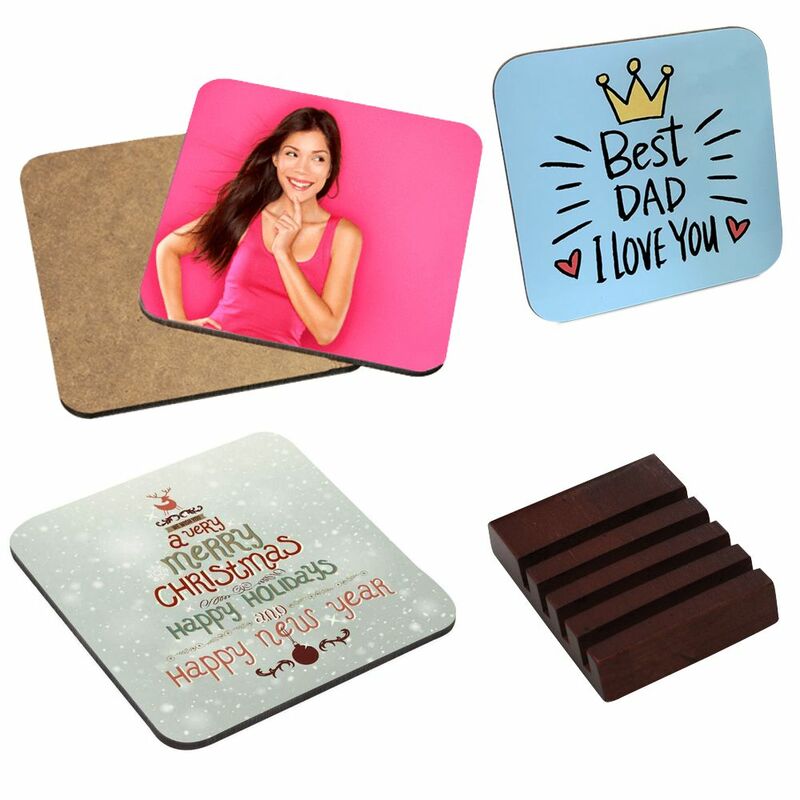 Personalised Photo Set of 4 Wooden Square Coasters. The coasters each measure 9 x 9cm and it comes with a wooden coaster holder too. Personalise this item with your Photos and/or text. For the best results please provide a photo/picture as big and clear as possible. You can have the same picture on each or 4 individual pictures, it's entirely your choice!